RONALD W. KRISTAN, M.D., F.A.C.S. 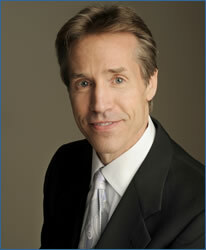 Ronald W. Kristan is Board Certified Physician and a Cosmetic Eyelid Rejuvenation Specialist. As a renowned eyelid plastic surgeon, Dr. Kristan is a leading specialist in this field with specific training, precision and experience to revitalize the highly delicate upper and lower eyelid areas. In fact, Dr. Kristan has successfully performed thousands of eyelid procedures. His innovative approach has resulted in the development of numerous new techniques that have been published. In fact, Dr. Kristan was instrumental in developing a laser procedure for tearing and was the first surgeon in the United States to perform the procedure. He has published extensively and regularly presents papers at national and international meetings. I consider it to be a privilege to care for my patients.